The footer area is a very distinctive area at the very bottom of your website. The following section will address setting up your site’s footer area in a more detailed manner - How to properly set it up to match your design and have it showcase widgets on your website. The footer is placed in grid with a four column layout in the Footer Top area. 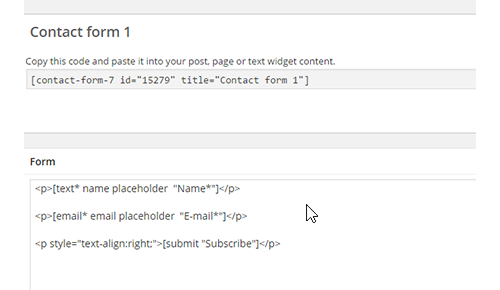 The first column contains a Text widget with a Text Block Visual Composer element and Social Icons shortcodes below. Separator elements are used to introduce spacing. 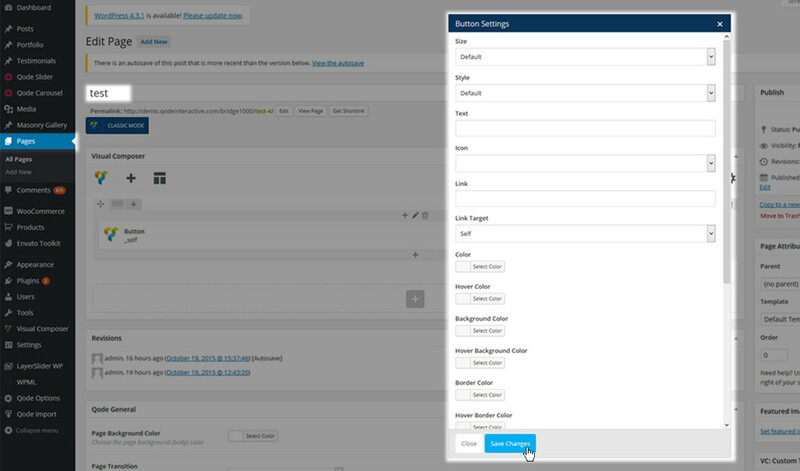 In the second and third columns we added WordPress Custom Menu widgets. The fourth column showcases a Flickr Widget shortcode which we created as a Visual Composer element. Note: To insert a Custom Menu widget into a widget area we navigated to WP Admin -> Appearance -> Widgets and then we added a Custom Menu widget in the second column Footer widget area, and chose our desired menu (previously created in the Menus panel in WP Admin -> Appearance -> Menus) from the Select Menu dropdown in the widget. In the third column we also added Text widget in which we added custom links. This footer is in grid with three columns. Only the Footer Top area is enabled. In the first column we added a Text widget showcasing a number of links used for a dedicated footer menu. Please note that this differs from using WordPress Custom Menu widget which requires a previously created menu. The second column contains a Text widget with shortcodes for Social Icons. And lastly, in the third column we added a Text widget with a simple copyright note. In this example we used a full width footer layout. This footer area resembles the one on Bridge99 demo with the only difference being the fourth footer column where we added a Flicker shortcode to a Text widget. This example is using both Footer Top and Bottom areas. In the Footer Top there is a two column layout displaying a logo image on the left and a phone number with some call to action text. The Footer Bottom area features a text widget with manually added links to serve as a footer menu. Note: Logo is inserted as an HTML tag with the src attribute set to a Logo image uploaded in the Media section of your site. 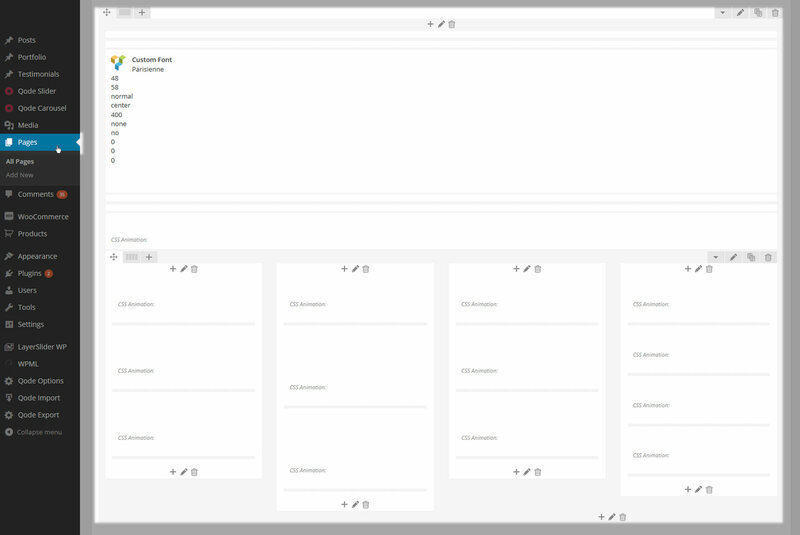 In this demo you can see the Uncovering Footer functionality. This footer layout will have the content area overlap the footer area at the bottom and produce a smooth unveiling effect. As a part of its content we added a Recent Posts widget as well. 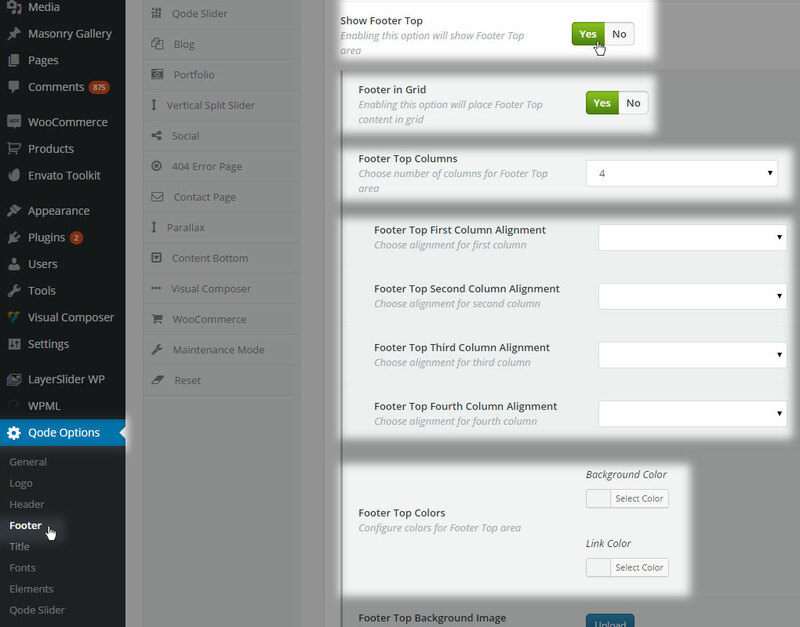 This is a classic footer in grid layout with two columns containing Text widgets in both widget areas. In the first area we added simple text and a phone number, and in the second we added Social Icons shortcodes. A more classic footer layout as well, with three columns and a Text widget in each of them. The first and the last one feature basic Text Block elements, whereas the second is displaying an image. A one column footer layout. Created as a Text widget containing a Text Block and Social Icons shortcode divided by a Separator shortcode.